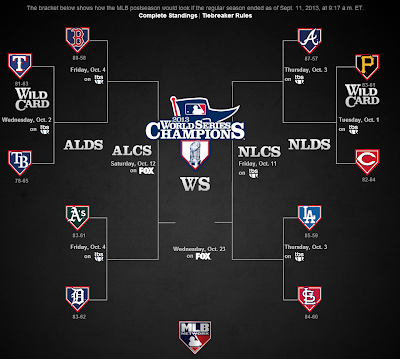 If the 2013 MLB season ended today, this is what the postseason picture would look like. The match-ups are looking pretty good so far. 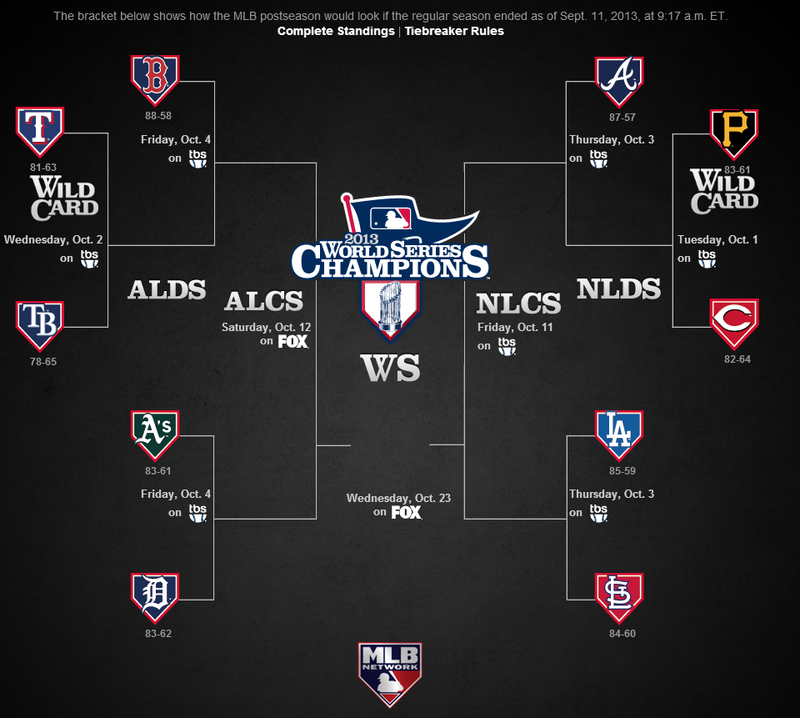 How about the Dodgers versus the Cardinals? Anyways, today is 9/11. So go USA!